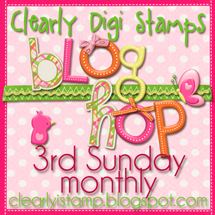 This BEE is happy to bee a winner in the Clearly Digi Stamps blog hop. Emailed. Thank you. Congrats everyone! You will love your goodies!